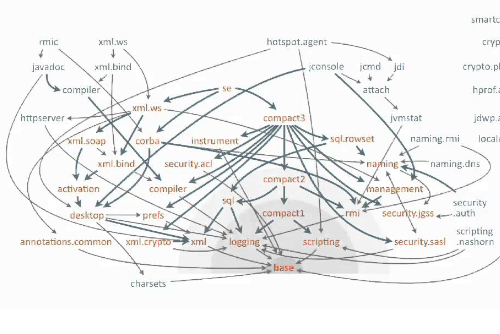 As a warm up let&apos;s see how JDK itself was modularised. drwxr-xr-x 2 root root     4096 wrz  2 15:17 .
drwxr-xr-x 8 root root     4096 wrz 24 16:35 ..
With java 9 a new option to describe module was added. We are going to use recent version of Intellij (2018 or newer) . In this workshop perform actions step by step. create new module com.jug.modules.intro.displayer in the same parent folder as math module. jar --create --file modsjars/modules.math.jar -C mods/com.jug.modules.intro.math/ . jar --create --file modsjars/modules.displayer.jar --main-class com.jug.modules.intro.displayer.Displayer -C mods/com.jug.modules.intro.displayer/ . No module descriptor found. Derived automatic module. configure modules in the main pom.xml. Show EngineProvider. How it connects with services? Now try to run gui. 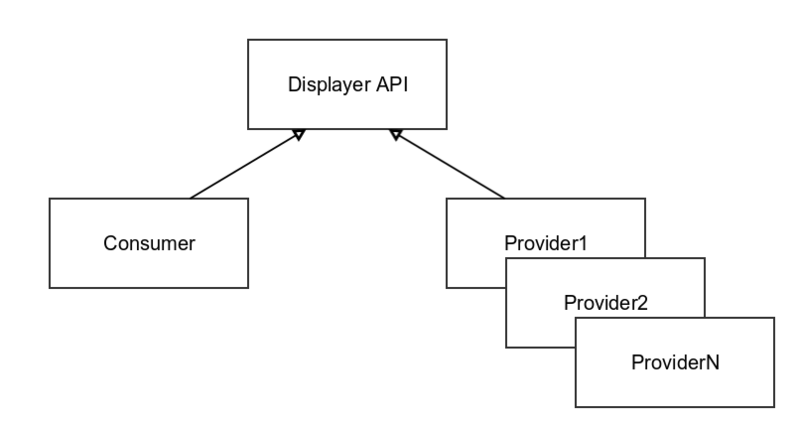 Those three modules use displayer API but consumer and provider are not aware of itself. First let&apos;s look at the API. It&apos;s an normal interface yet purpose of support method may be not clear at first. Generally Each implementation can support different features and because consumer will not be aware of implementation so it can not choose one specific. We will see more in consumer module. And finally we have to use service locator to choose proper implementation. Here is when support method may become useful.